DUCC News, our e-newsletter for the DUCC Community is distributed free of charge to all DUCC members (via email), and to anyone else interested in news about the Diaconal Community. DUCC News endeavours to reflect the work of diaconal ministry within the United Church by sharing stories of DUCC members and their communities. The newsletter also includes updates and articles on diaconal activity around the world. It is a great resource to share with anyone curious about diaconal ministry. YOUR CONTRIBUTIONS are needed to enrich the newsletter. Don’t hide your lamp under a bushel! Share your ideas and news with the Editor. It will be appreciated. Kathy Toivenan is the current DUCC News editor. She can be reached at [email protected]. 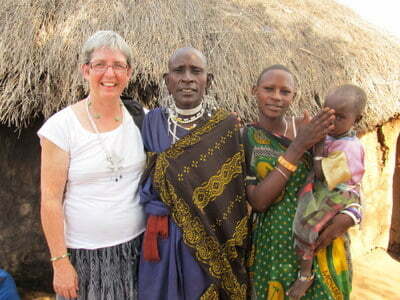 A sabbatical in Kenya and Tanzania gave Diaconal Minister Kathy Platt a glimpse into the strength of African women. DUCC is a member of World Diakonia and the regional group DOTAC (Diakonia of the Americas and the Caribbean), which each produce occasional newsletters. Many member organizations also produce newsletters and have websites. See World Diakonia website for more information (see News and Resources for newsletters, and. Members for a list of members with websites).